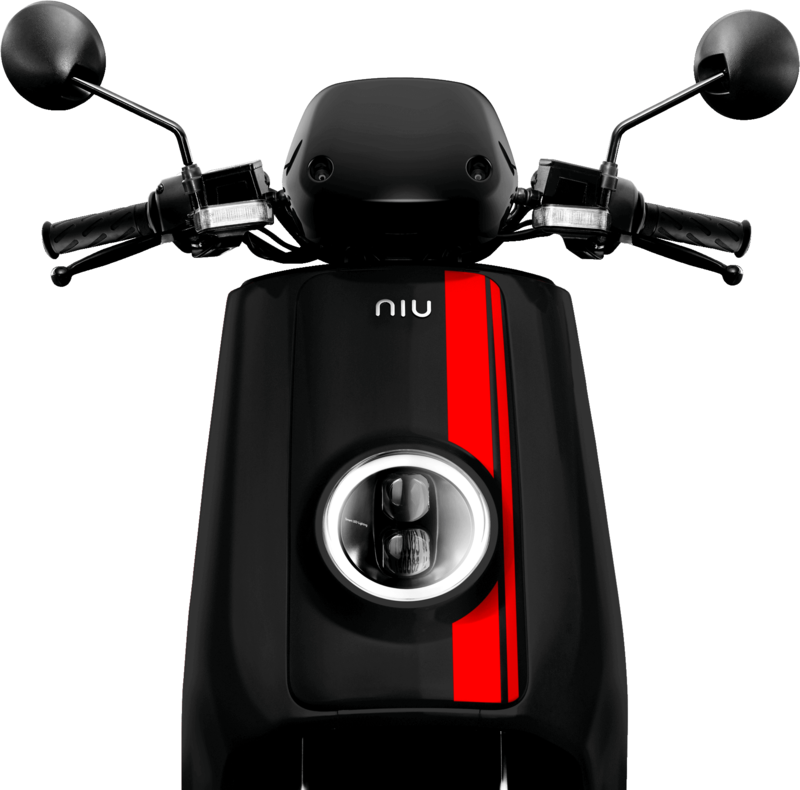 The NIU N-GT is an electric smart scooter created by an innovative Chinese company that is founded by the former CTO of Baidu (the Chinese Google) and a former employee of Microsoft. Their purpose is to create a high quality electric scooter with the latest technologies and design. The N-GT is a special version of the N-Series (N1s) designed for speed. The scooter is calssified as a light motorcycle. 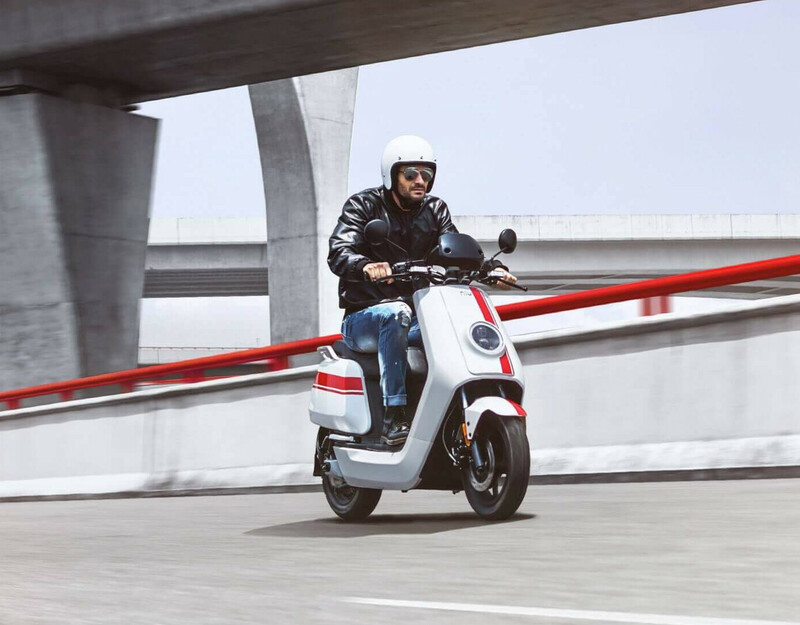 The scooter has a powerful 3,000 watt Bosch electric motor that is optimized to provide instant torque for exceptional fast acceleration. The top speed of the scooter is 70 km/h. 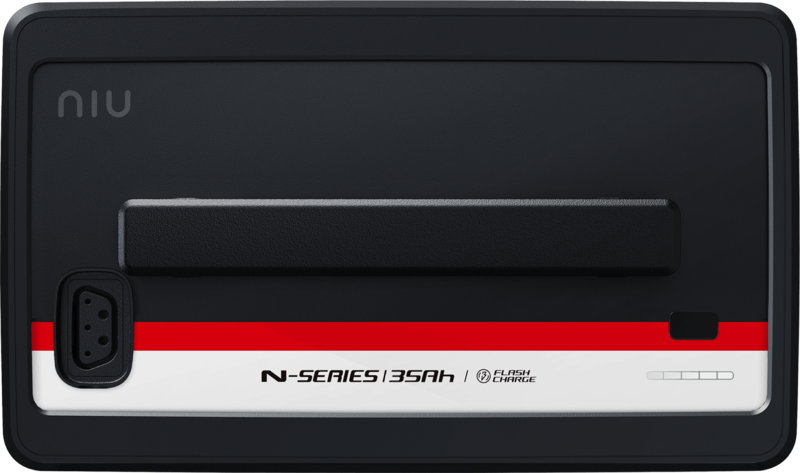 The NIU N-GT is provided with two removable Lithium batteries of 35Ah (70Ah total) of type 18650 from Panasonic, the same battery type that is used in the Tesla Model S. The high quality batteries provide a true driving range of 100km while driving 70km/h. 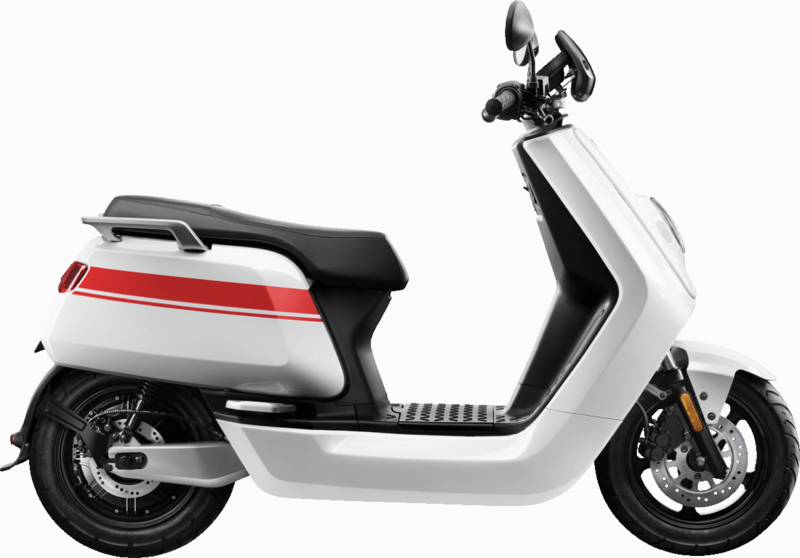 The scooter offers 3 driving modes: Sport, Dynamic and E-Save. When using E-Save mode, the driving range can be extended to 170km. 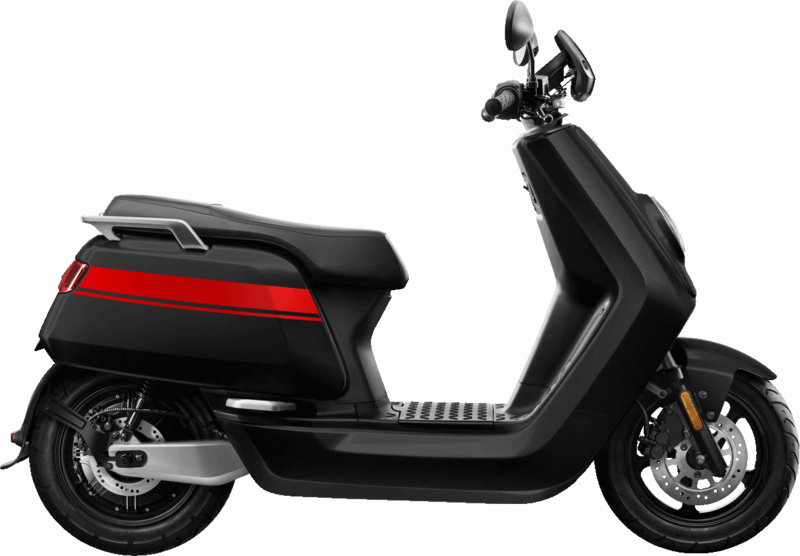 The scooter is provided with a built-in dual battery charger that enables to charge two batteries simultaneously. The batteries can be fully charged in 3.5 hours. The scooter has a customizable multi-color dashboard. 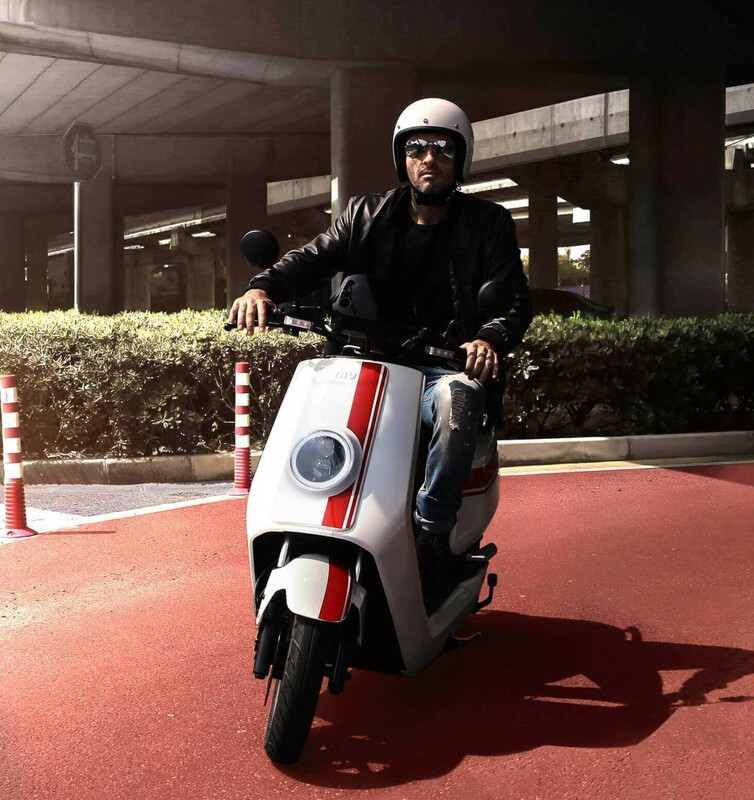 The scooter contains 32 sensors that pro-actively diagnose the state of the scooter. 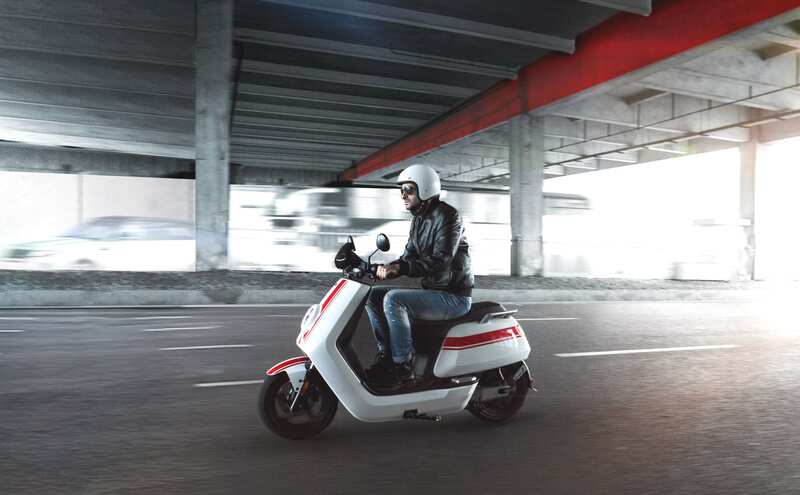 The scooter is connected to a service cloud that monitors the scooter for potential issues and that advises the rider to visit a service station for pro-active service to prevent costly maintenance. The system also automatically updates the software to provide the scooter with new features and it provides the rider with the ability to remotely monitor the vehicle diagnostics and it functions as a GPS anti-theft system. The N-GT is a true smart scooter that connects to a smart phone. Everything from battery monitoring to GPS to ride history, the NIU app keeps the driver connected and up-to-date with the whereabouts and health of the N-GT. The app provides in an anti-theft system that warns the driver when the scooter is moved. With GPS it is possible to track the position of the scooter in real time. De N-GT has front and rear disc brakes. The scooter has a Kinetic Energy Recovery System (KERS) or regenerative braking in which energy from braking is returned to the battery. The N-GT is available in many colors including the original GT-race colors.